RadiantTrak Walkway Mats provide a durable snow melting solution commercial or residential use. The Heated Walkway Mat is made of an electrically operated heating element placed between two durable, non-slip rubber surfaces. Mats are available in 120V or 240V options and plug into a corresponding outlet. The result is a portable heating solution that melts snow at a rate of 2″ per hour. 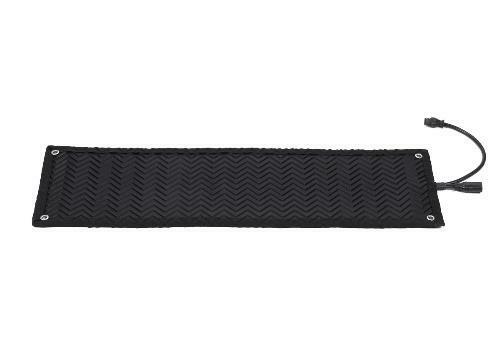 The mat can be attached to the ground with the built in grommet holes and left outside for the entire winter. 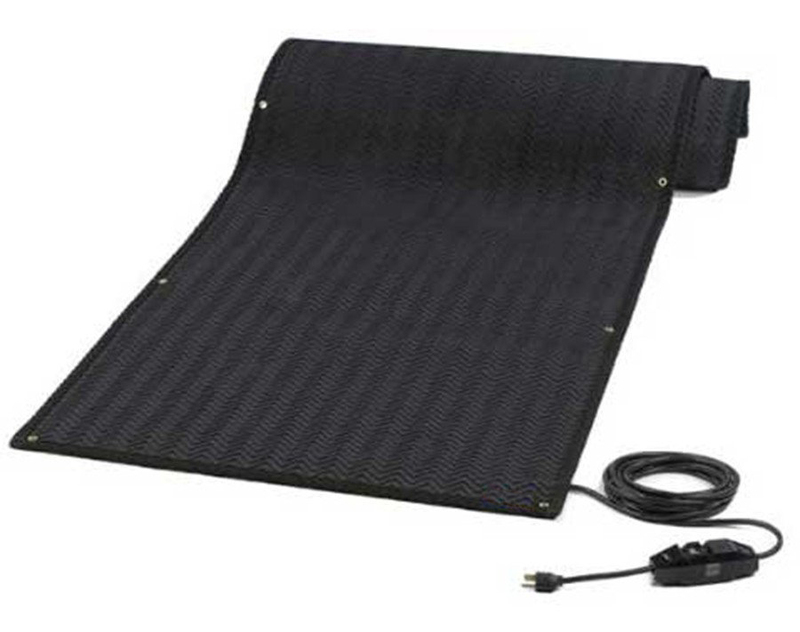 Each RadiantTrak Walkway Mat comes with its own GFCI plug (ground fault circuit interrupter).